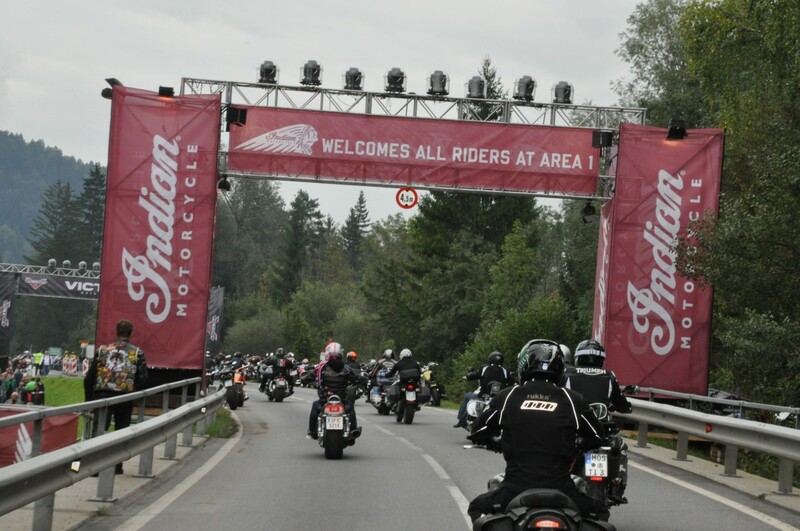 All Indian Motorcycle owners are welcome to join the launch party for the Indian Motorcycle Riders Group (IMRG) at Faak Am See in Austria on Saturday 12th September. The launch party will take place in Area1 next to Lake Faaker where hundreds of bikers gather for a week of motorcycling fun and entertainment. It’s free to come along and just turn up on the day, but Indian Motorcycle owners who sign up to the IMRG website (www.imrgmember.com) beforehand will receive an exclusive member welcome pack on arrival containing an IMRG collectable T-shirt, IMRG patch, helmet bag, temporary tattoo, lanyard and a VIP pass. The IMRG has been set up to encourage community and camaraderie among Indian Motorcycle owners, no matter which country they live in or what model year their bike. See more at www.imrgmember.com. The Indian Motorcycle Riders Group (IMRG) was launched in Europe, the Middle East and Africa in June but in this short time over 500 owners have joined up. Indian Motorcycle owners can get access to the IMRG website by visiting their local dealer and asking for a username and password.